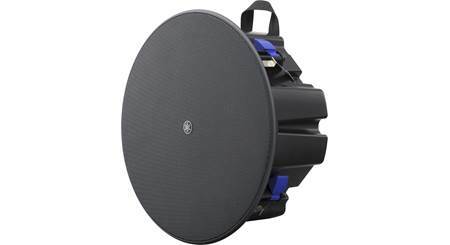 Bose's innovative Articulated Array® configuration provides 180° x 75° coverage. By buying this product you'll earn up to 478 Rewards points. Don't your customers deserve Bose®? Bose products — from headphones to home theater systems — have been customer-pleasing best-sellers for us for decades, so we're happy to be able to extend that same experience to business owners. The FreeSpace® DS 100SE speaker is ready for anything, with one 5-1/4" woofer and dual 2-1/4" Twiddler® drivers that can help fill a room with high-quality sound. 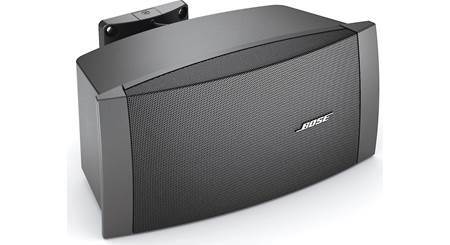 Bose's innovative Articulated Array® configuration provides 180° x 75° coverage. 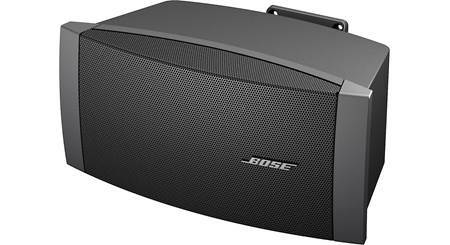 The Bose® FreeSpace® DS 100SE features one 5-1/4" woofer and dual Twiddler® drivers in an innovative Articulated Array® design. Build a customizable system to fill your entire restaurant, gym, office, or similar place of business with appropriate foreground or background music and clear, audible announcements. An innovative thumb wheel transformer tap on the front lets you power multiple speakers with a single amplifier. 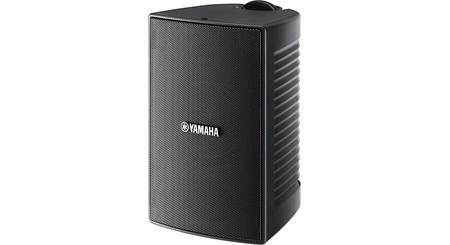 This weather-resistant speaker can be mounted horizontally or vertically with the included bracket. Once you've chosen the perfect mounting location, you can dial in the coverage area with adjustable pitch and yaw settings. Bose offers optional wall-mount, ceiling-mount, and pole-mount brackets for more challenging locations, too. 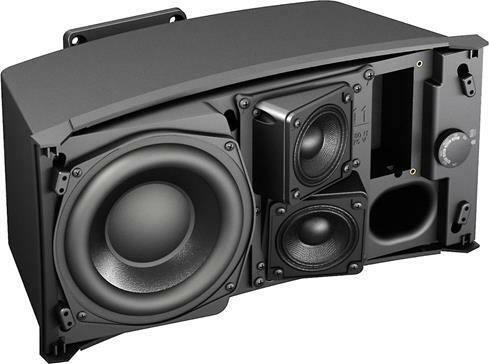 Overview: The Bose FreeSpace DS 100SE is a full-range, surface-mount, 70/100 volt loudspeaker designed for foreground and background music as well as speech reproduction in a wide range of installed applications such as restaurants, retail stores, houses of worship, and more. 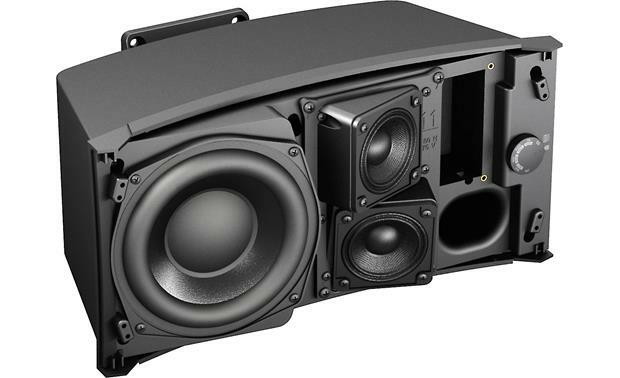 The DS 100SE consists of a single 5.25" woofer and two 5.25" Twiddler drivers in a ported enclosure that can be surface-mounted vertically or horizontally giving it a 180˚ horizontal x 125˚ vertical coverage pattern and a frequency response that goes down to 60 Hz. 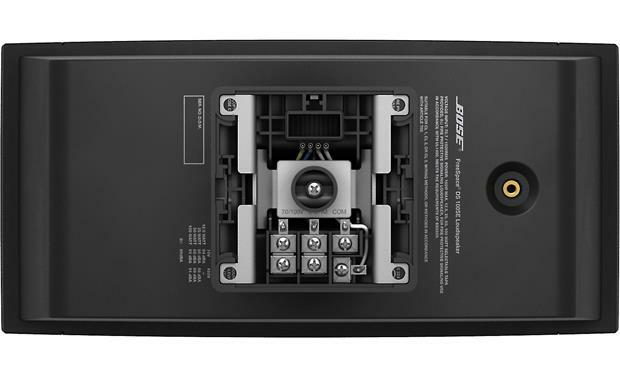 Mounting: Bose offers a versatile mounting system with the DS 100SE. The built-in rear mounting bracket can be rotated 90˚ by removing four screws, allowing the speaker to be mounted horizontally or vertically. 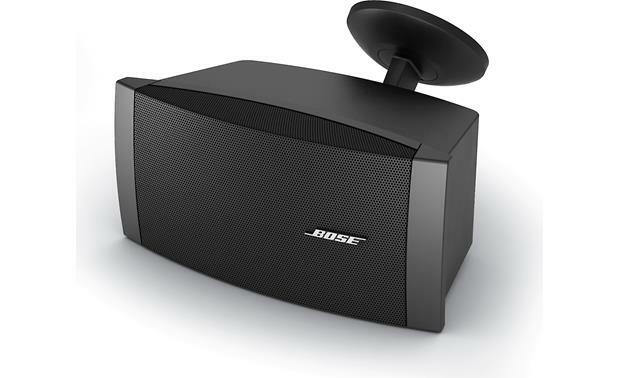 The mounting bracket allows up to 45˚ of tilt or swivel, depending on how the speaker is aligned, and the Bose logo can also be rotated to match the speaker orientation. All wiring for the speaker is attached to set-screw terminals inside the wall-mount plate. A single 4-pin connector cable on the speaker plugs into a socket on the wall-plate, giving the speaker a clean look and allowing it to easily be detached and re-attached to the mount. A 3 mm pin-in-hex head threaded fastener is provided to hold the speaker to the wall-plate. This is a tamper-prevention fastener that requires a specific tool to tighten and remove (sold separately). An M4 x 14 mm socket is provided on the back of the speaker for an optional safety chain. 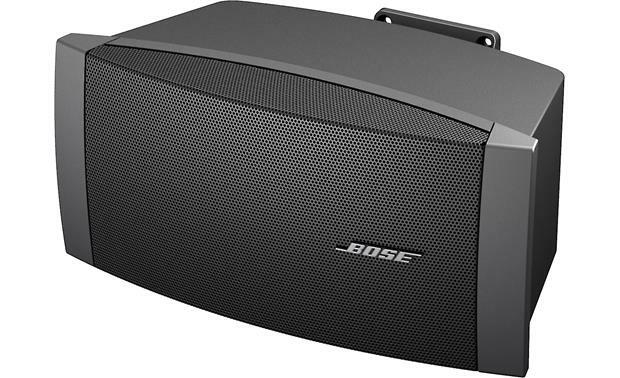 Searches related to the Bose® FreeSpace® DS 100SE 5-1/4" commercial weather resistant surface mount speaker.